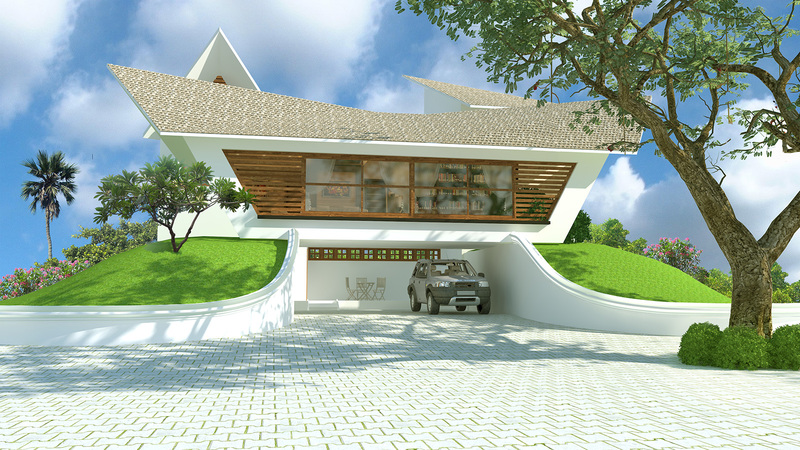 The design concept of this Trivandrum-based house centers on the contours of the location. We dug up the site to incorporate a floor beneath and scooped out the rest of the area to create two mounts on each side. The roof design was inspired by the houseboats of Kerala. An expansive library rests on the two lush green mounts that offers an impression of a bridge.